I am not really into shoes for babies, heck Baby L only wears them now when we are going out and about. They grow out of them way too fast, it is not good for their feet while they are learning to walk and not to mention I don't enjoy wearing them all the time, why would a tiny baby? 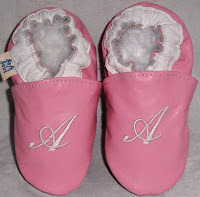 But what I do love are the soft leather baby shoes and Kids 'N' Caboodle makes customized baby shoes that you design. 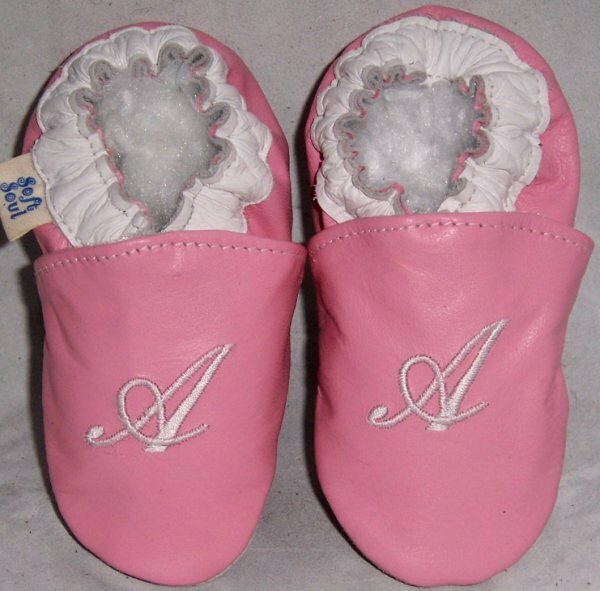 They customize Bouges, Personalized, handcrafted, soft-leather baby shoes for Children on the move. As well as Soft Souls, Handcrafted, soft sole, leather baby shoes that you design. They are soft and bendable, unlike "regular" shoes so my kids definitely get wear out of these. 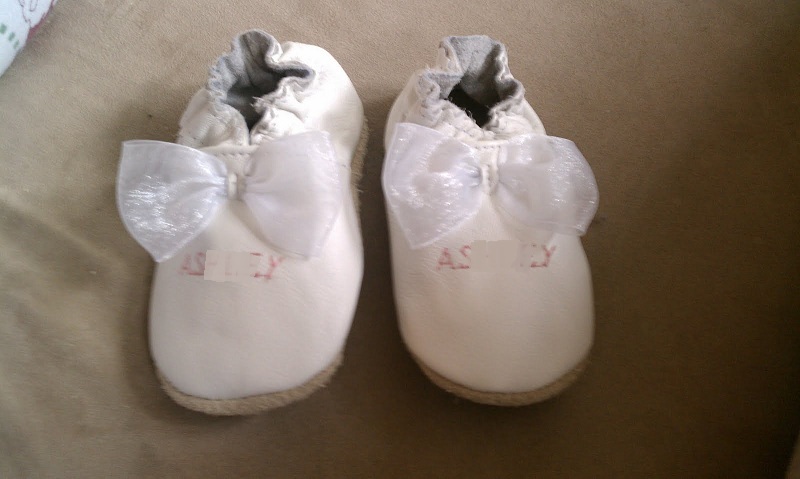 A little info on the PERSONALIZED WHITE ORGANZA CRIB SHOE from their web site- A classy Snow White leather crib shoe with a white organza bow will match many outfit. Handmade from soft leather with skid-resistant soles. Adjustable, ankle elastic design provides your child with easy to put on and stay on shoes. The flexibility and snug fit allows developing feet to learn balance and build strength. Washable as well! They come in Snow White leather with pink embroidery. When you choose the Soft Souls they are soft, high quality leather, hand cut, sewn and embroidered. You choose ankle color, shoe color, font, font color, size and child’s name. The soles are made with textured suede to make them skid resistant. It is so easy and so fun to choose just the right shoe for your child or as a gift. I am thinking this would be a really great baby shower gift in the future. 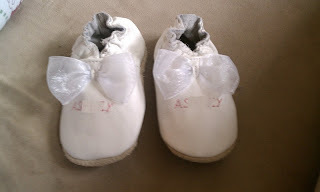 I love our little shoes, they have the babies name on them, right underneath the sweet little white bow! I know everyone will be asking me where I got them and I will be happy to tell them Kids 'N' Caboodle! Win a pair of Custom Baby Shoes from Kid's N Caboodle. Who would you win these adorable shoes for? *Limited to US residents; 18 years old and above. Giveaway starts October 21, 2011 and ends on November 1 , 2011 at midnight PST. Winner will be emailed and has 48 hours to respond before another winner is selected. I was not paid for this giveaway or post. The opinions on this item are 100% mine and may vary from others. I would like to win the shoes for my little cousin, she is having a baby and these are adorable. These would be for one of my friends who is having a baby very soon! OMG - these are sooo cute... I'd love to win either style (Boule or the featured shoe) for my Sweet Grandaughter!!! ((1955nursehjc4me(at)myway(dot)com)) TY! I hope to win these for my son! I would love to win these adorable shoes for my almost 6 month old granddaughter Violet!! This would be for my baby girl! These would be for my soon-to-be-born son! I'd love these adorable shoes for my 4 1/2 month daughter! I Like Kids's N Caboodle on Facebook! 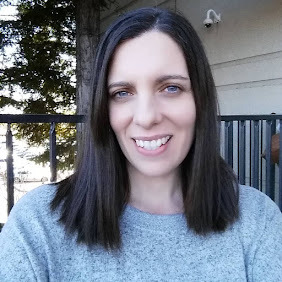 I Follow Frugal Family Tree on GFC! 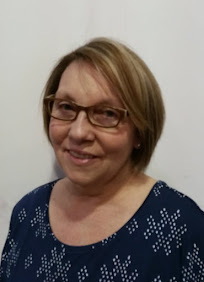 I Like your new fan page on Facebook Frugal Family Tree! LIke Kids n caboodle on fb! I would love to win these for my son!! I would win these for my daughter Ada. i'd love these for my little guy!